Snowbunny! That's not the tree pose I learned, but bunny yoga is probably a little different. 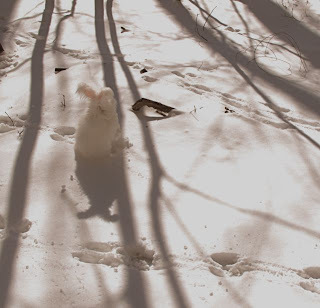 Sometimes it's hard to comment on Nuage, he is kind of from another world......Such a photo, such a Bunny. I must lay down for a while and contemplate this. Look at his little ear shadows!